Librarians might have difficulty deciding whether the story should be filed under historical, romantic or pure adventure… but this time we are not talking about the fictional adventures of Angélique. The real life adventures of Anne and Serge Golon are almost as exciting as those of their heroine – and could make a bestselling story in their own right. And they have all the same elements that made Angélique’s story such a hit with readers. That two such remarkable people should be attracted to each other is not surprising, but the fact that they found each other is. The paths of the attractive Frenchwoman and the charming man who was born in Persia would finally cross in Africa, but both had already tasted adventure long before they met. Anne was born in December 1921 in the southern France port of Toulon, where her father, a captain in the French navy, was posted. 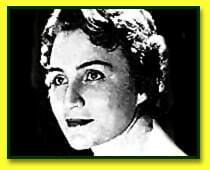 She was christened Simone Changeux but the world would come to know her as Anne – actually the last and most famous of several pen names she has used during her career. Her father, as Anne later recalled, “was crazy about the new motor planes and all kinds of machines which would increase the potential of the French army. He was also a scientist and an explorer whose main interest became saving pilots’ lives by publishing a book of aerial drawings”. Sadly, the French military were less than enthusiastic about his book and were unwilling to pay for the job of colouring the black-and-white maps. The solution was to entrust the work to little Simone – still only ten years old – and she painted more than 500 books. Her father’s failure to rise to a status befitting his reputation as a thinker and an innovator had a major impact on Anne’s mother, a virtuoso pianist and the granddaughter of Charles Heidsieck, the original ‘Champagne Charlie‘ who founded a champagne house that still thrives today. She was said to be ‘devastated’ that her husband was not promoted to the rank of admiral. France’s failure to recognise his patriotic efforts also made a lasting impression on a young girl who saw, perhaps for the first time, how individuals could find themselves fettered and frustrated by the power of the state. Even if she did not realise it at the time, the embryo of Angélique and her adventures was probably growing in Anne’s mind. The young girl certainly appears to have inherited much of her father’s character. She was not the healthiest of children and on days when she missed school – which she is said to have disliked anyway – she turned to painting and writing as outlets for her increasingly obvious creativity. She wrote her first story almost as soon as she had learned to write, and her first book, a memoir called In The Country Behind My Eyes, was written when she was just 18, and published in 1944. War interrupted her career, but even in occupied France she went on writing, and published numerous articles and three books. Anne also found that repression did not necessarily bar her from adventure, nor from fighting, in her own way, for her country. The story of her epic cycle journey from her home in the north to Poitou and her pilgrimage to set foot in free Spain is recounted in one of the interviews which are transcribed in these pages (see The Anne Golon Interviews) and is a symbol of the free spirit that was continuing to evolve in this young woman. She returned home to pour her energy into writing, publishing The Gold Stone and then the bestseller, Master Kouki, and founded the magazine France 47 (later to become France Magazine). Anne also wrote screenplays, but after winning a literary prize for a youth adventure book called The Patrol of the Innocent Saint, her taste for real-life adventure once again got the better of her. The year was 1949. She chose to travel to the Congo, mainly because it was French-speaking and her plan was to write articles for French newspapers. But two weeks after first setting foot in Africa, a chance meeting with Vsevolod Goloubinoff – later to become Serge Golon – would change the course of her life. Vsevolod was an aristocratic Russian who had actually been born in Persia in 1903. His father was a consul to the tsar and the family lived in a house with many servants, his father having nearly 20 just to look after his personal needs. If they expected great things of young Serge they may have been disappointed that he had a taste more for riding and hunting than studying, but his personality proved ideal for the challenges ahead. As Russia sank into revolution in 1917, the family fled to France and Vsevolod, who had been at school in Sebastopol, escaped by disguising himself as a storekeeper. He later rejoined his destitute family who had somehow survived their ordeal. But there was no holding down Vsevolod, with his many talents and adventurous spirit. Like most of the Russian aristocracy, he spoke fluent French, but also had a gift for other languages, reputedly speaking up to 15. He was an especially brilliant geologist and chemist and earned a good living searching out ore-rich mines in China, Indo-China, Tibet… and Africa, where his and Anne’s destinies were about to cross. They certainly seemed to make perfect partners, but their collaboration on writing was the result of a series of unexpected events for both of them. These included the coming of independence to France’s African colonies and Vsevolod’s inability to obtain a work permit on his return to France, despite of his many qualifications, his experience of life and his determination and sense of purpose. Anne, as always, continued to write. 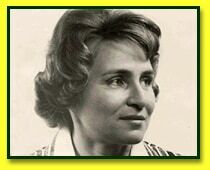 As she listened to Vsevolod’s many stories of his adventures, she wrote a series of articles, then a book on a period in his childhood when he met with a spy who inspired him to take up geology as a vocation. As the memories were his, the resulting book was published under the pen name of Serge Golon – one he had used previously in 1949 when he wrote a memoir with the help of another well known young French author. It was the beginning of a collaboration that was to create an unforgettable heroine. Meanwhile, Anne published two novels on Africa. As Serge, as he became known, was still searching for work, Anne’s writing was their only means of sustenance. Because she loved history, Anne decided to consider writing an historical novel, encouraged by Serge. As they were living in Versailles (in a room in Anne’s mother’s house) they explored the library in the chateau, where researchers told them that little or nothing had been written about the 17th Century. They also discovered a treasure trove of historical documents. Because of this, and the proximity of the Palace of Versailles, Anne decided to base her novel on this period. At the same time she created Angélique as the lead character, envisaging her as a wild, fairy child named after a wild herb. For a year Anne and Serge worked together in the library at Versailles, researching details about this unknown period and reading hundreds of books and documents, many written by contemporaries. Anne spent all her days in the library, aided by Serge between his regular trips to Paris to find work, and spent nights in their room, creating the fictional characters, researching the historical ones and weaving them together into an intriguing plot that was as gripping as it was historically accurate. This was to become the first giant book, Angélique, which ran to over 900 pages. One day, while in Paris searching for work, Serge visited Mickey’s magazine to solicit publicity for one of Anne’s books. There he met a man who said he was part of an important international agency which had been created to start a literary business, and which was looking for a blockbuster book to start them off. Serge told Anne, and, although the manuscript was not quite complete, the agency was delighted to adopt the voluminous and brilliantly written book. 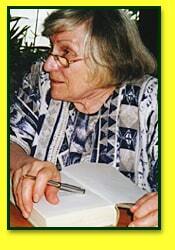 The first book was published in 1956 in Germany, under the name of Anne Golon. A year later it was published in France as two volumes – Angélique Marquise des Anges and Angélique; Le Chemin de Versailles. The agency told Anne that they must have a man’s name on the book, saying it would enable the book to seem “more serious”, and they proposed publishing it under Serge’s name. Anne would have been happy to agree, but Serge refused, saying it was primarily Anne’s work, and eventaully a compromise was reached when the book was published under the names of “Anne et Serge Golon”. For reasons best known to the pubishers, the English language book, which was released to huge critical claim and gained enormous commercial success in 1958, appeared under the name of Sergeanne Golon. Even more curious, the agency did this without telling Anne or Serge until after the book had been released in the USA, when they said it was “better for marketing”. For this reason, and because the English language books never carried any information on the authors, many English-speaking Angélique readers were unaware of the true name of the author or any details about her – and this website is happy to redress that. Anne’s style proved an immediate hit and Angélique became an instant bestseller in over 20 languages – and it would continue to bring more success in the future. When the plot switched to Morocco, the books drew on Serge’s experiences from his own travels to fill in the historical background, and before Angélique headed for the New World, Anne and Serge took themselves off to Canada to pave the way with more research. Otherwise they made their home in Switzerland and Israel with their four children, with Anne writing and Serge dedicating himself to painting and scientific research on paint varnishes and colours. Both Anne and Serge Golon were talented painters and a book of their art was published in France, while all four of their children are gifted in writing – three of them having published with success in different fields. Sadly, in 1972, while Anne was researching in Quebec for the 10th Angelique book and Serge was preparing for an exhibition of his works in the same city, he suddenly and tragically died, not long before he reached his 70th birthday. Anne, whose love affair with Serge paralleled Angélique’s with Joffrey de Peyrac, was devastated, but eventually recommenced the series for the sake of her fans. So it wasn’t until 1977 – 21 years after the first book was published – that the English-speaking world would get to read Angélique and the Ghosts, the tenth book in the series and the last to be translated into English. Though by now an international poll had revealed Anne to be France’s most read and translated living author, the story was starting to turn to one of tragedy. Finally realising that her agency and publisher, Hachette, had cheated her for years of her author’s rights and had ceased to pay royalties despite the enormous success of the books around the world, she called them to account, taking on France’s largest and most powerful media company in the courts. It is significant that, at this time, when the agent and publisher said that there was “no interest” in Angélique, the books were actually selling over 14 million copies a year in Russia alone – and Anne Golon didn’t see a single franc in royalties. A huge civil action commenced in 1993 and in 1995 Anne Golon defeated the giant publisher when the court ruled in her favour and ordered Hachette to pay her damages and unpaid royalties, and to restore the rights of the Angelique books to her. Cynically, Hachette appealed, and for over five years has been using every conceivable device, legal and otherwise, to delay the final appeal, which they inevitably know they will lose on the facts, in the hope that Anne will “go away” (in other words die) before they can be compelled to comply with the court’s ruling. But Anne has never given up, and at almost 79-years-old she is fighting on for her rights, for her fans, and for all the other writers and authors who have been cheated by their agents and publishers – and she is still writing. The fact that the final three books are still waiting to be translated into English is perhaps the greatest testimony to the way in which the Angélique stories – despite their huge success throughout the world – have failed to achieve their true potential. Meanwhile, as more and more fans discover Anne’s plight, support for her is growing. An on-line petition to the French court now has worldwide support (see The Readers section of this website). 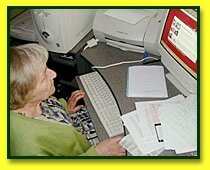 Other Angelique websites are springing up, and the Angélique Internet mailing list is one of the largest for any out-of-print author. Her first book, Angélique, Marquise of the Angels, has 57 reviews on Amazon (www.amazon.com) – all carrying five stars – yet it is out of print. And still her English-speaking fans eagerly await the translation and publication of the untranslated final three books, as well as the remaining books that Anne is writing. So the story is destined to move on to a fitting epilogue – and the Internet is proving a vital tool. The Web-based mailing list has spawned a more traditional ‘fan club’, and demonstrated that the appetite for the World of Angélique is as great as ever. The new medium is uniting and re-uniting. It is uniting readers who want to know and read more about Angélique and her creators, and re-uniting them with Angélique, whom many had feared they had lost. And there are other signs that Angélique’s heyday is yet to come. The books have been out of print for over 10 years, with two exceptions – the first two books, which were released in large print in 1995 and 1997 respectively. Despite receiving no publicity and being extremely expensive (US$23.95), both sold out and reached the top 5,000 books as listed by Amazon. Meanwhile, the five French language films based on the books continue to receive regular television showings in French speaking countries as well as Italy, Russia and Japan, and a successful stage play ran in Paris in 1995. In fact, the French films are shown every 15 days on French TV on a channel owned by Hachette (with Anne Golon receiving no royalties from these showings), and they have just been released on DVD. One thing is clear. Both Angélique’s and Anne’s adventures are far from over.